Blind Derek visited yesterday, and he came bearing a gift. He's not the first podcast guest to come with a gift. Pete Fowler gave me a bike jersey and OPP toque, Don Landry and many others have brought me a coffee and Mike Wise brought me that, some Tidbits for the kids and a bagel with peanut butter. Blind Derek came with a large Blue Jays logo, complete with signatures. It was immediately placed on my basement wall, alongside my Leafs and Raptors pennants. It's the kind of thing I truly dig, and it's autographed by a couple of my favourites. 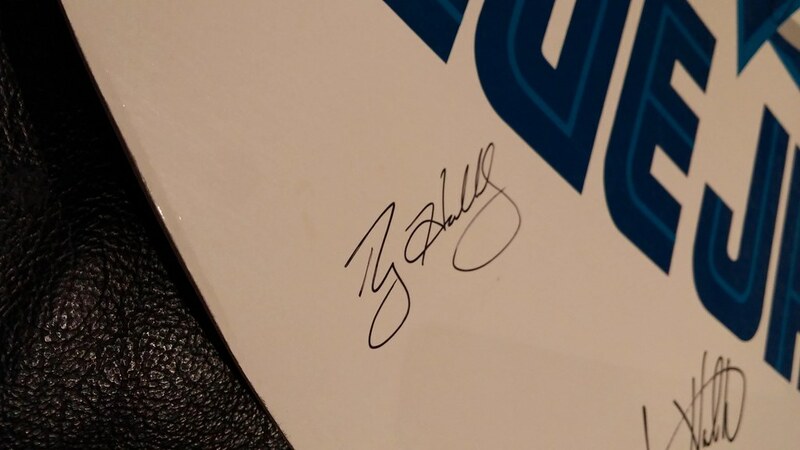 Roy Halladay, the greatest starter in Blue Jays history, signed this placard. As did Tom Cheek, the greatest commentator in Blue Jays history. Nobody did it better. Read title as "Bo Derek". What year would this be from? 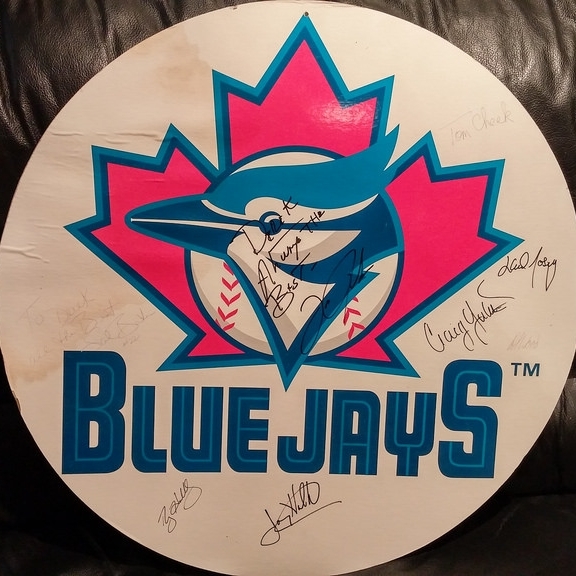 Not many would part with such a piece of memorabilia, we know you will appreciate it! 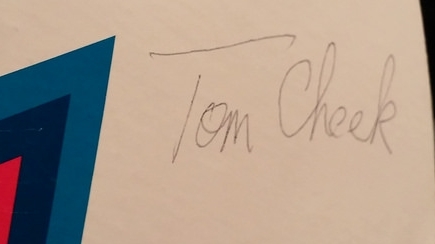 That logo was in effect from '97-'02, but based on the signatures I'm going to guess this is from 2001 or 2002. That's a keeper and a very generous gift!